There’s nothing like the warm glow of Christmas lights this time of year to give you a good dose of Christmas cheer! 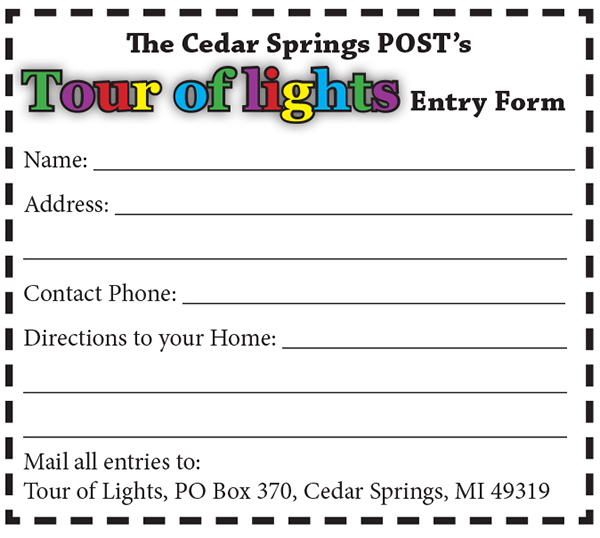 Every year The Cedar Springs POST hosts a Tour of Lights giving area residents the scoop on where the hot spots for Christmas lights are glowing. In order for us to make an accurate listing, one that includes YOUR house as a “drive-by” we need you to lead the way. Simply mail your name and address to Tour of Lights, P.O. Box 370, Cedar Springs, MI 49319. 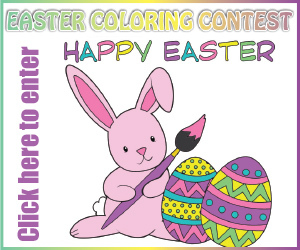 You can also email them to news@cedarspringspost.com or call the office at 616-696-3655 to let us know. We’ll be listing all the addresses we receive so that our readers can enjoy the Christmas glow without the endless searching in between. Remember, after Thanksgiving, Christmas comes in a flash – so there’s not time to delay! Send us your address for Tour of Lights today!